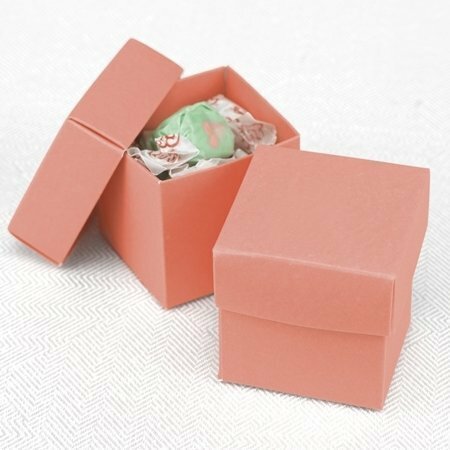 Gorgeous coral two piece favour boxes with mix and match tops and bottoms. Great for any coral colour themed event. Contents not included. Customer assembly required.